There are three hotels within walking distance from the venue as listed in the table below. 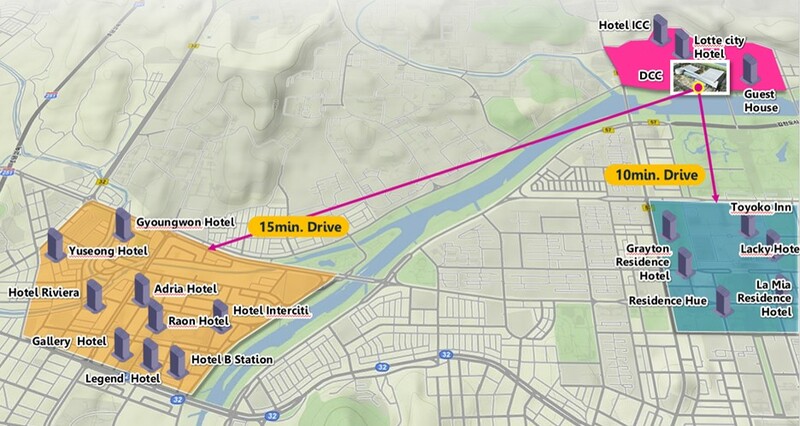 In addition, there are many hotels in Daejeon area and public transportation to the venue is available. Some rooms are reserved in block for the Forum with discounted price, and most room reservation can be cancelled without penalty if requested one week earlier than your arrival date. You can reserve rooms of the Lotte City Hotel and the Hotel ICC online. To reserve rooms of the Guest House, please send your reservation details to Mr. Beomsoo Joo (bjoo@ibs.re.kr).